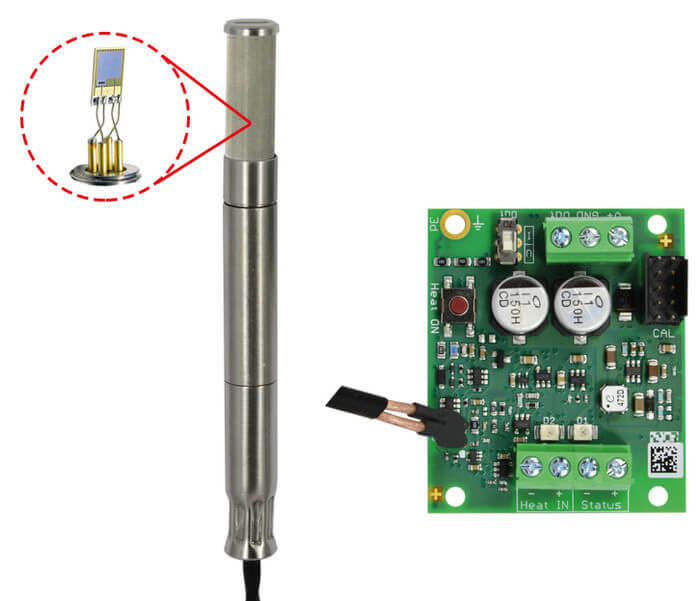 The high accuracy humidity and temperature module EE1900 fulfills the specific requirements of climate chambers. The EE1900 module is designed for highly accurate measurement of relative humidity (RH) or dew point temperature (Td) in climate chambers and other demanding applications. 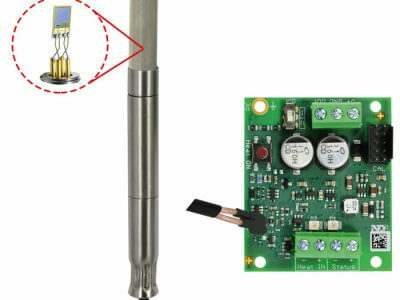 The humidity sensor is particularly resistant to dust and corrosive agents and it performs even in chemically contaminated environment. The EE1900 module consists of an electronics board and a sensing probe. It employs an innovative combined humidity and temperature sensing element, which is well protected from pollution and corrosion by the proprietary E+E coating. This leads to high accuracy and excellent long-term stability even under harsh environmental conditions. Thanks to the Automatic Sensor ReCovery (ARC) function, the sensor also copes well with chemical contamination. By controlled heating, the chemicals gaze out from the sensing element.The ARC mode can be triggered either via a push button on the board or an electrical signal. The humidity module features an analogue output, which can be set to current or voltage. The service interface allows for output scaling and adjustment of the humidity measurement. The product configuration software EE-PCS is available free of charge. The EE1900 is available with a stainless steel or plastic (PPS) probe. The high quality, flexible probe cable up to 3m length facilitates the probe installation. With two sizes of the electronics board the module can be easily integrated into existing climate chambers.